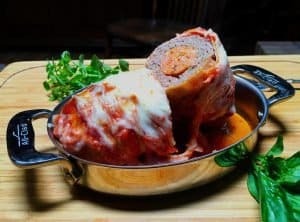 What happens when you put an Italian sausage link inside of a meatball, then top it with marinara and cheese? Keto bliss, that's what. One of my tastiest recipes in the arsenal and surprisingly easy to prepare.